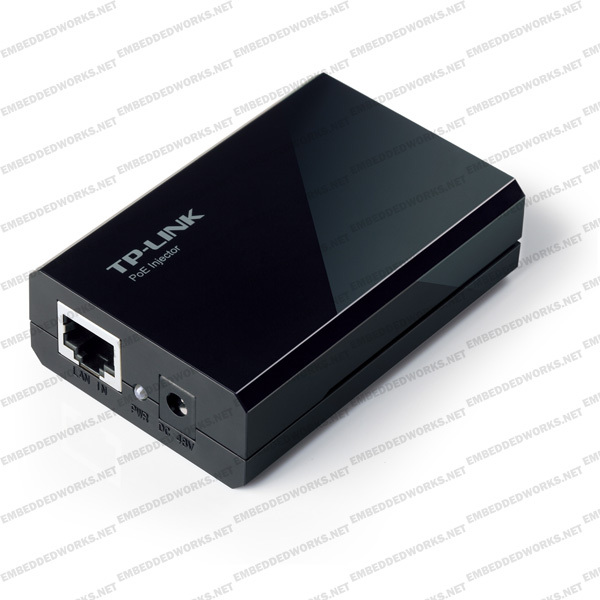 Embeddedworks and TP-Link will offer customization services for this product to meet your specific needs. Please contact us for further info. The PoE Injector TL-POE150S fully complies with IEEE 802.3af standard, and can work with all IEEE 802.3af PoE compliant PDs (Powered Devices) or PoE Receiver Adapters, such as TP-LINK�s TL-POE10R, or other equivalent product, to expand your network to where there are no power line or outlet, where you wish to fix device such as AP, IP Camera or IP Phone, etc. System Requirement Microsoft Windows 98SE, NT, 2000, XP, Vista or Windows 7, MAC OS, NetWare, UNIX or Linux.